Hello! 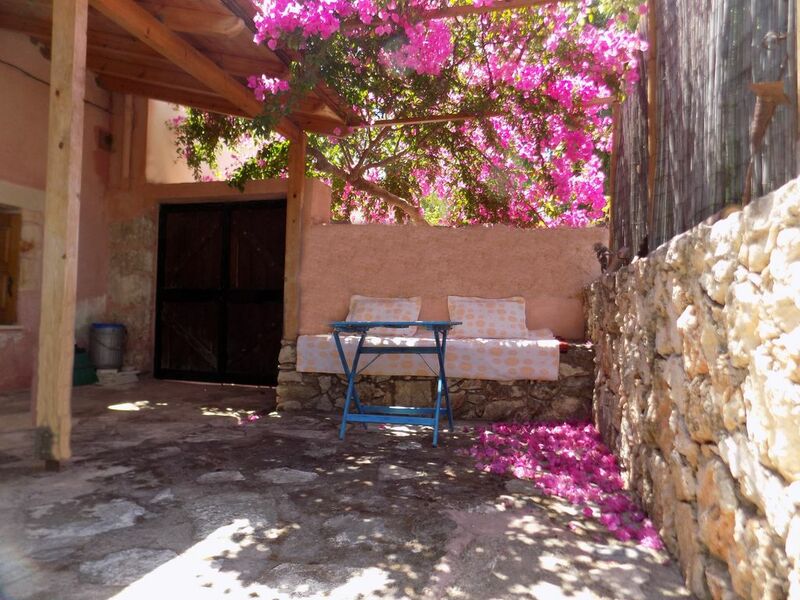 We are Costas and Athina, a couple who enjoys hosting people tranquil home. We love sharing info and making suggestions about Apokorona, food, wine, beaches and culture. This house used to be a stable belonging to Costas family, and with much love and care we began transforming it in 1999. There are big stone yards and field with olive trees, vineyard and rock garden. The house is close to several beaches , villages and other beautiful areas so there are many alternative fun aways.You love it. I chose Plakora With my 2 children (11 and 13) as a peacefull and beautiful place to stay for our adventure holidays. We usually do all sorts of wild things and I never choose hotel, resort nor any noisy place... I wanted to feel and meet local people and have my own place after all day of adventures. We were welcomed by the owners in a very warm way! When we arrived Athena was waiting for us with fresh grapes, tomatoes, rusks, avocados and home made oilive oil ! Delicious. All facilities were great! Better than home. Warm water, washing machine, pans, coffee maker , stereo music!! There were never any problems. The house is big and beautiful. Every night we were watching the stars from our balcony lying on the sun beds! There were falling stars every night. We were coming home from our adventures every evening to a beautiful peaceful home. We did not need a swimming pool because we were swimming all day in crystal clear Sea!! We were lighting candles, listening to music and enjoyed Plakora. I was doing yoga every morning by the sunrise and I also organised private yoga lessons thanks to Athena. I rent a car and decided to explore Western Crete. I didn’t know what to expect. Plakora had it all ! Car is essentiall - gives you freedom. The roads are fine and ok to drive - well marked. The local shop is 30 seconds away - at the corner 😊� - and if you’re lazy with cooking - the Takis Taverna is just next to it with amazing food - actually one of the best in Crete !! For a good price. We made friends with everyone. People are friendly and caring. I got flat tyre and got help within minutes! You can actually walk down 10 min to Almirida to jump on waves and it’s a very nice beach and safe for the kids too. Just next to it there’s Kalyves. Great beach again! There’s a secret cave nearby Plaka if you can find it - it has its magic! We were more explorers and we went in different place every day as it was close from Plaka to go to places like Gorgiopolis to see the river turtles, Preveli Beach, Rethymno, Chania or Fallasarna, the Lake (only 30min!) as well as Elafonissi. You would spend between 15 min- 1.30 min max in the car to go to different places. We also did scuba diving nearby Plakias. I recommend Kalypso diving centre - they are the best. Overall - thank you Plakora !! It was the best holiday we could dream off. Die zentrale, aber ruhige Lage von Haus und Garten nur für uns hat unsere Erwartungen voll erfüllt. Wir können dieses Haus allen Ruhesuchenden nur empfehlen. Die Vermieter sind sehr nett und in Ihrer Taverne in etwa 500 m Entfernung immer gut zu erreichen! Danke für den schönen Urlaub 2018! On se sent vraiment comme chez soi ! Maison très agréable , meublée avec goût .Terrasse et grand jardin. Située dans un charmant village où l'on trouve tout ! Point de départ pour visiter l'ouest de la Crète , à 20 km de Chania. Les propriétaires sont charmants.